We are now seeking a Bakery Manager to lead our bakery team in Wabasha, MN. 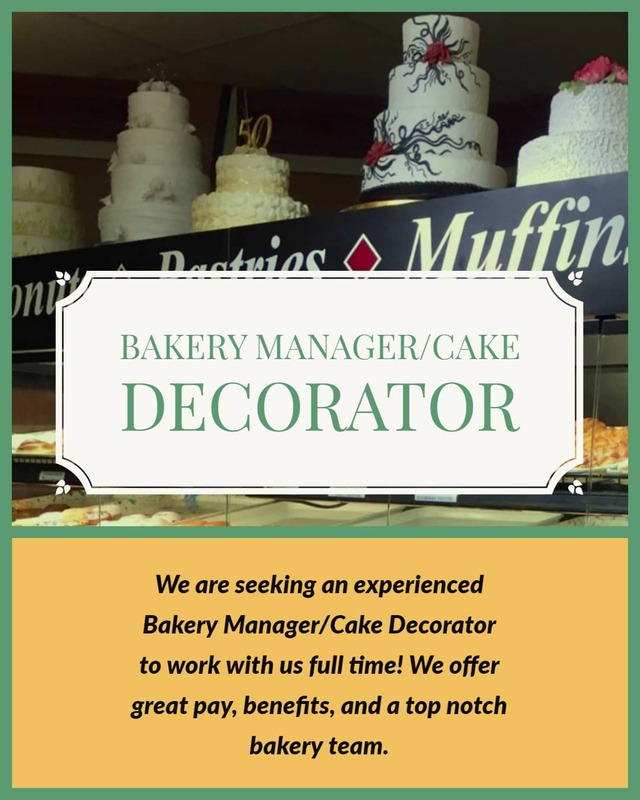 Management experience and cake decorating experience is required for this position. Must be willing to work with flexible scheduling around staff needs. Bakery Manager must be serve safe certified, have knowledge of food sanitation and safety, maintain accurate scheduling of staff, complete order and inventory processes (lifting 50 lbs. +), maintain freshness of all bakery products, and maintain cleanliness of full kitchen in coordination with Deli Team. This includes full-time hours with great pay and benefits packages. Apply online with a resume at Indeed or at dicksfreshmarket.com. You can also stop in store to fill out an application today.